308 Jarvis Condos is going to have a 43-storeys condominiums, with retail fronting onto Jarvis Street by Duration Investment. It locates in the intersection of Jarvis and Carlton Street. The site is along from Jarvis to Mutual Street. Across the street is Allan Gardens Conservatory which is over 100 years old with a garden-filled greenhouse. The tower rising behind a terraced nine-storeys podium. set back from Jarvis behind the Sheard Mansion, which would be restored and incorporated into the project. 308 Jarvis Condos designed by Quadrangle Architects and planned to be a terraced podium, stepping back above the 3rd, 5th, and 7th floors. 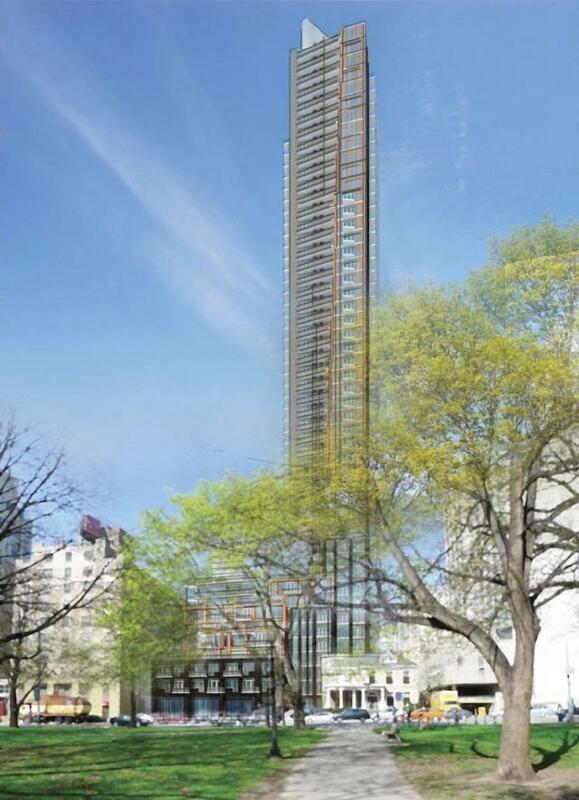 An amenity terrace would sit atop the podium on the 10th floor. The main Jarvis entrance would separate the podium from the Sheard Mansion. At the back on Mutual Street, the tower would be set back slightly behind a line of five 3-storey townhomes to be built along the that street. 308 Jarvis Condos is going to have 590 units, 354 parking space and 607 bicycle parking space with access and servicing from McClear Place. 308 Jarvis Condos close to Street Car Stop, the supermarket, business tower and retail shops, walking distance to Ryerson University and University of Toronto.